On January 14, 2019, Bob Fowler, Sr., a long-time resident of Gainesville, Georgia, passed away at the age of 88. Bob was known for his quick wit, zeal for life, love of America and dedication to his family. Bob was preceded in death by his parents, Thomas D. Fowler and Geraldine Fowler. He is survived by his wife of 50 years, Linda Gravitte Fowler of Gainesville and son and two daughters: Robert L. (Rob) Fowler Jr. (Leslie) of Gainesville, Robin Willis (Jerry) of Dunwoody and Dawn Rivas (Luis)of Gainesville; two grandchildren: Robert Lee Fowler III of New York City and Brett E. Fowler (Laura) of Gainesville and two great-grandchildren: Robert Fairbanks Fowler and Wells Thomas Fowler of Gainesville. Bob is a 1948 graduate of Gainesville High School where he played football, basketball and baseball. After graduating from GHS, he went to West Georgia College to play football and baseball. He earned a bachelor’s degree in accounting from the University of Georgia where he was a member of Delta Sigma Pi fraternity and was inducted into the Blue Key National Honor Society. Upon graduation from UGA, he served in the U.S. Army from 1953-55 including a tour in Korea. He joined the J.D. Jewell and Company in 1957 where he was Institutional Sales Manager for eight years. In 1966, Bob joined Orbit Manufacturing, Inc. in Helen, Georgia as Vice-President of Sales. In 1986, he was elected President of Orbit and he retired as Chairman and CEO in 1991 after 29 years with the company. Bob gave a life of leadership and altruism to the Northeast Georgia area. He was elected President of the Gainesville Jaycees in 1960 and 1961. At the age of 30, he was named the Gainesville Jaycees Young Man of the Year and one of the Georgia Chamber’s five Outstanding Young Men in Georgia. In 1965, he was selected as one of the Outstanding Young Men in America. In 1968, he was one of three Helen businessmen who coordinated the renovation of Helen into an Alpine Village and a major tourist attraction. In 1972, he was elected to the Helen City Council. After a second term on the City Council, he was instrumental in the rewrite of the Helen City Charter and he served two terms as the first Helen Mayor under the new form of government. He was the first recipient of the Peter Hodkinson Man of the Year award in White County. 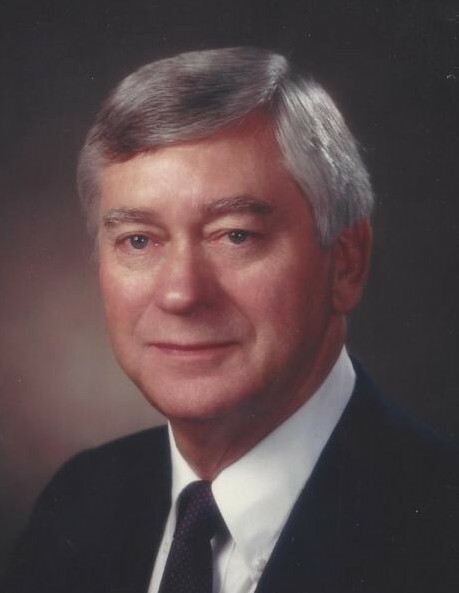 Bob was selected to the first Leadership Georgia class in 1972, was a founding board member of the White County Bank and he also served as President of the Chattahoochee Country Club. Bob loved his church (Grace Episcopal) and served the church in numerous capacities through the years. In 2005, Bob and Linda donated four French cast bronze bells for the bell tower. The bells can be heard every hour throughout Brenau University and the Gainesville community. He frequently sought out needs in the community and found ways to meet those needs, often times anonymously. The Fowler family will host an informal visitation at the Chattahoochee Country Club in Gainesville on Thursday January 17 from 5pm-7pm. A private inurnment will precede the memorial service in the All Souls’ Columbarium Garden at Grace Episcopal Church. A memorial service will be held at Grace Episcopal Church at 2:00 on Saturday, January 19. In lieu of flowers, donations honoring Bob’s life may be made to Grace Episcopal Church 422 Brenau Avenue, Gainesville, GA 30501 or Eagle Ranch P.O. Box 7200 Chestnut Mountain, GA 30502.